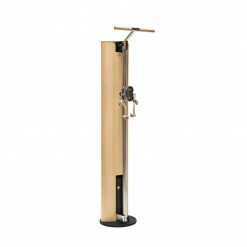 The Precor Smith Machine combines performance, durability and thoughtful design to give users a natural experience. 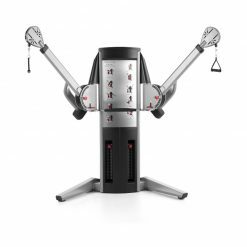 The machine boasts a bold open structure with a walk-through design. 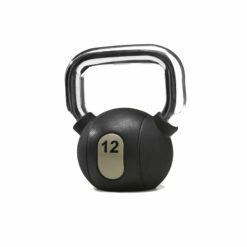 The innovative smith bar system, accommodates higher weight capacities, while also providing a low start weight. 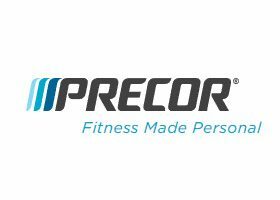 The Precor Smith Machine combines essential performance, durability and thoughtful design to deliver an experience that feels natural. 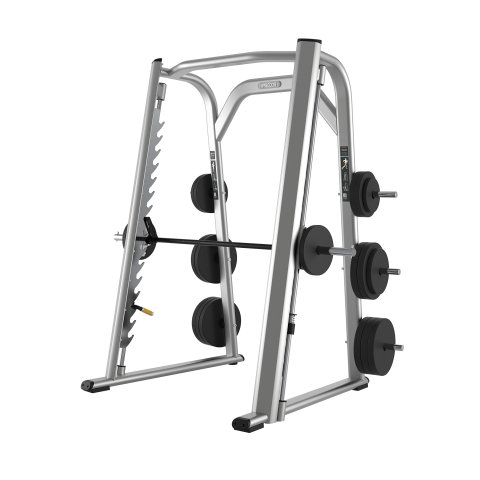 The bold, open design of the Discovery Series Smith Machine provides a high head clearance and a clean, walk-through design for all users. The precise angle of the Smith Machine frame optimises the body’s natural movement path to ensure proper squat form. 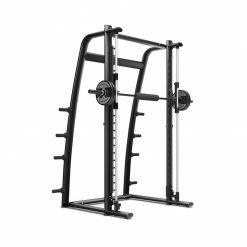 With no counterbalance, the Smith Machine offers a low starting weight, creating a more realistic weight-lifting experience. This also reduces high-wear parts, increasing the life of the unit.